The 10th annual 2018 International Report on Snow & Mountain Tourism, written by Laurent Vanat, is now available to download. 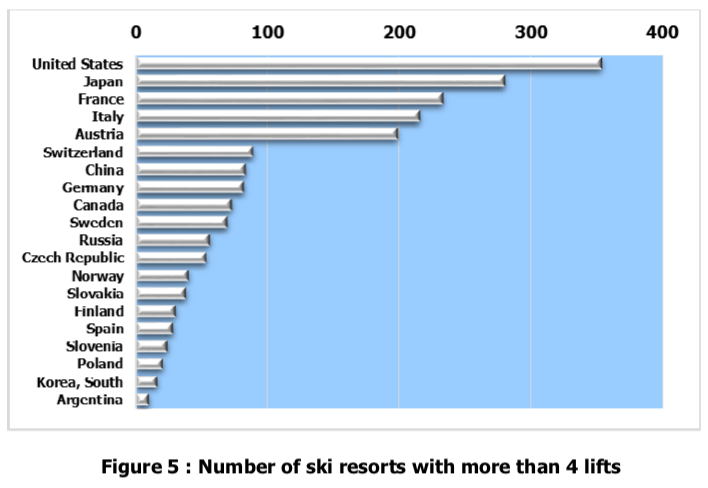 The report is a world-renowned reference for data about ski resorts and tourism, covering 67 countries across the globe. “It is a pleasure to notice that after three years of stagnation or decrease, the total figure of skier visits worldwide is now showing a trend upwards again,” Laurent Vanat says. Although, before we get too far ahead of ourselves, the reason for the upward trend is the growing interest in developing markets, such as China. The western market continues to be flat. 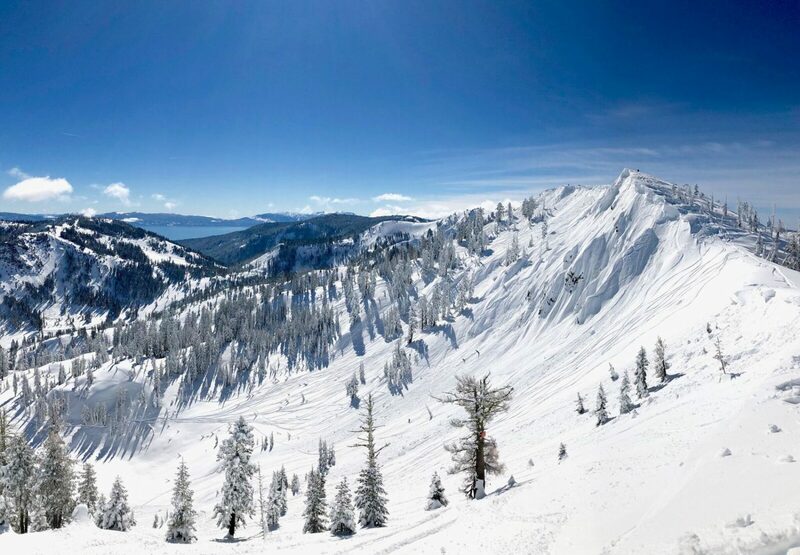 In North America, for example, the trend for bringing individual resorts under the umbrella of major corporations with high financial expectations has, Vanat says, resulted in “ongoing rising prices, with a negative effect on the number of practicing skiers”. The biggest problem for the US ski industry is the increasing prices, paid by a declining number of customers. The window price of daily lift ticket rose from an average of $59 a decade ago to $105 during the 2015/16 season. Average daily rates in accommodations in the western resorts also rose from an average 30% since 2009/10. This tends to make ski less affordable, and especially for the beginners, who usually purchase daily passes, the less discounted tickets. Overall, the business model of the large US resorts summarises in getting always more money from always fewer customers. The question is to know if it will still be sustainable for a long time. This month of April 2018 sees the release of the 10th edition of the International Report on Snow & Mountain Tourism, which premiered at the Mountain Planet International Exhibition in Grenoble last week. On this occasion, to celebrate its 10th edition, this report, usually published only in English and Chinese, benefits from an exclusive French version. – It is satisfactory to note that after 3 years of stagnation or decline, the total number of skier visits worldwide is now up 4% over the winter of 2016/17. – The last few years have shown some changes. Western markets have seen a disruption in the business model with multi-resorts discounted seasonal passes, a phenomenon that already began to appear in North America for the past decade and is continuing to expand. – In North America, there have been major consolidation operations among the major players in the industry, with high financial performance expectation. The result is ongoing rising prices, with a negative effect on the number of practicing skiers. – In the Alps, the number of very large truly interconnected ski areas has increased, thanks to the construction of interconnection lifts in Austria. – And of course, the market is booming in China, where 57 new ski resorts have mushroomed in 2017. The industry’s fundamental challenges remain; demographic change, with baby boomer’s retirement and low customer renewal, the global competition of other vacation, leisure and recreation activities, and improving retention rates of beginners in offering up-to-date learning solutions. The coming years promise to be exciting for the global ski market! Coverage: There are currently 67 countries in the world that offer equipped outdoor ski areas covered with snow. Taking into account indoor facilities, mountaineering-only areas and other types of facilities such as dry slopes, the figure can be as high as 100. 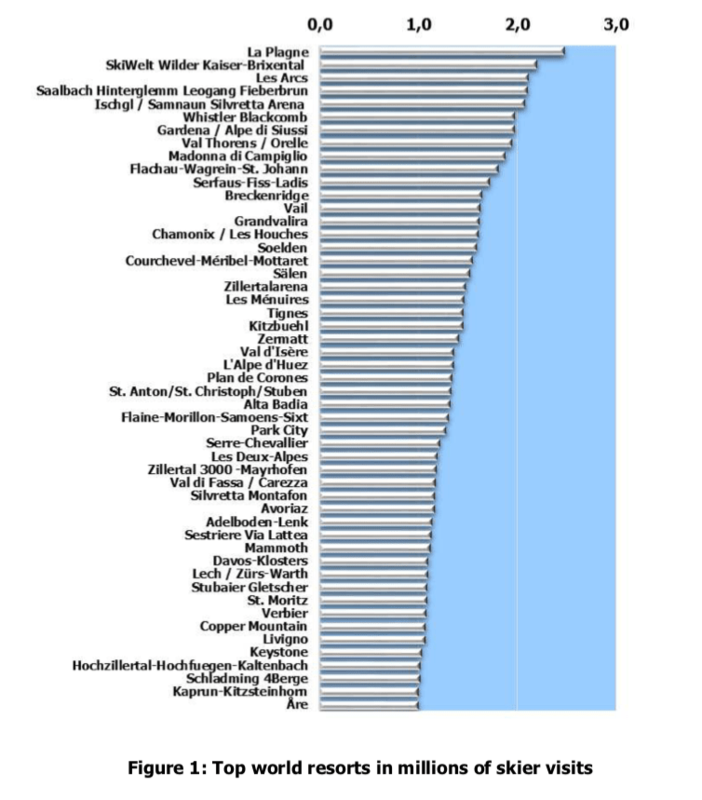 Even if snowfields are much more numerous, about 2,000 ski resorts have been identified worldwide. Besides the major ski destinations in terms of skier visits, there are a number of other, smaller destinations, where skiing has been an industry for a long time, or is currently developing. The most obvious new destinations are Eastern Europe and China, but there are a number of other small players spread out across the globe: Cyprus, Greece, India, Iran, Israel, Lebanon, Lesotho, Morocco, New Zealand, Pakistan, South Africa, Turkey and many more. And there’s a section dedicated to each nation where it’s possible to ski – there are 67 of them.